Jasmine is a very beautiful young woman with tan skin and long, lustrous black hair, big brown eyes. 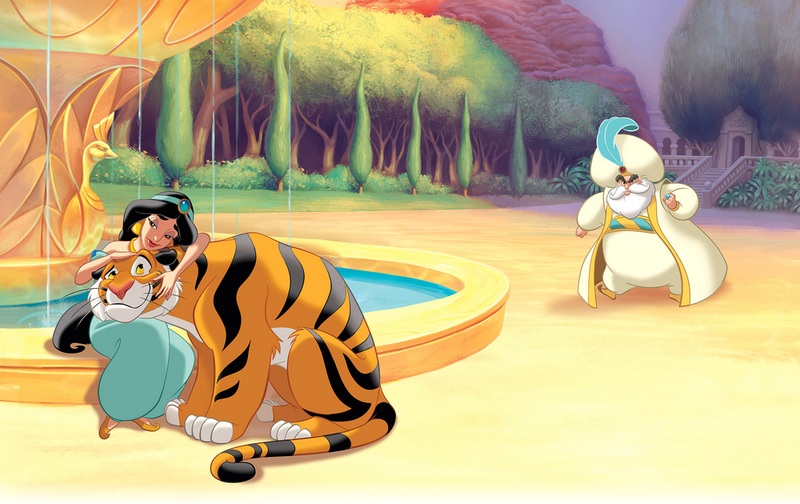 Deep in the Arabian Desert, Princess Jasmine lived with her father, the Sultan of Agrabah, and her tiger, Rajah. The Sultan had said Jasmine must marry a prince and soon. But Jasmine wanted to marry for love, not just to make her father happy!